§ 181-3 Regulations for specific sign districts. § 181-5 Construction and maintenance standards. § 181-6 Exceptions to permit requirement. § 181-8 Penalties for offenses; revocation of permit; absentee businesses; unsafe signs. Peddling and soliciting — See Ch. 147. The intent of this chapter is to promote and protect the public health, welfare and safety by regulating existing and proposed outdoor signs of all kinds. It is intended to protect property values, restrict visual blight, and enhance the appearance of the community. It is further intended to enhance the business environment while protecting and improving upon the character of the community by reducing the visual blight and hazards that may be caused by advertising obstructions and distractions. The provisions of this section shall apply to all signs in all zoning districts as established and those amended in the future by the zoning laws of the Town of Clarence. No person, firm or corporation shall hereafter erect, re-erect, construct or structurally alter a sign or sign structure without a permit first having been issued by the Planning and Zoning Department. 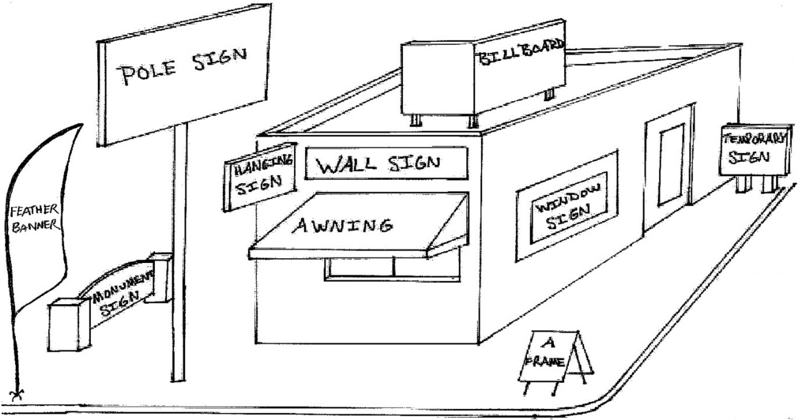 Every application for a sign permit shall be accompanied by plans, to scale, showing the dimensions of the sign, the structure supporting the sign, the position of the sign in relation to nearby buildings or structures, the location of the building, structure or lot to which or upon which the sign is to be attached or erected, the method of illumination, if any, and such other information as the Planning and Zoning Department shall require to show full compliance with this chapter and all other laws and ordinances of the Town of Clarence. Acceptable proof of consent to the placing of a sign by the owner of the building, structure, or premises must be provided with the application for a permit when the applicant is not the said owner. The Planning and Zoning Department shall grant permits for all temporary signs that conform to the dimensional, locational, and construction requirements as herein stated. Any permanent sign application shall be referred to the Sign Review Board for architectural review. The Sign Review Board may, in its discretion, approve minor variations (up to 10%) from the sign dimensions contained in this chapter. All permanent sign applications are subject to a fifteen-day review by the Sign Review Board. All permits issued are subject to Town Board objection until 15 days after approval has been granted by the Sign Review Board. All new plaza signs shall be reviewed by the Sign Review Board during site plan review. Each tenant in a plaza will be allowed one building sign and one roadway sign that must be contained within one common tenant freestanding sign. The Sign Review Board will determine the best location and size of the common tenant sign during site plan review. The Sign Review Board may review and determine permit applications if the sign is replacing an existing freestanding sign or common tenant sign. In no case shall a plaza sign in a commercial, restricted business or traditional neighborhood zoning district exceed 48 square feet. A single wall sign, such as a sign directory, may be used to identify more than one on-premises establishment. For buildings with multiple tenants having storefronts only, the facade rented by the tenant shall be considered as wall area for a sign and must meet the wall sign standards in this chapter. Any illuminated sign or lighting device shall employ only light of constant intensity. No sign shall be placed or be directed so as to permit the sign illumination to be directed upon a public street, highway, sidewalk or adjacent premises so as to cause hardship or danger to any person or persons. No sign or part thereof shall contain or consist of any pennant, ribbon, streamer, balloons, spinner or other similar moving, fluttering, or revolving device. Such devices shall be prohibited even if they have no message or logo on them. The said devices, as well as strings of lights, shall not be used for advertising or attracting attention, whether or not they are part of the sign. No sign or part thereof may rotate or move in any direction, except flag signs as permitted on a temporary basis. Signs that flash, blink or scroll-change shall not be allowed for safety reasons. LED signs must have messages that remain of constant intensity for at least 30 seconds. No part of an LED sign may move or scroll or be considered an animated sign. All permanent signs within the Town of Clarence must maintain a minimum setback of 10 feet off any roadway right-of-way. All signs must maintain a minimum side yard setback of 10 feet. Any permanent freestanding sign must be at least 50 feet from any other. A sign placed upon a roof shall abut the roof and shall not be elevated above the ridge of the roofline on any post, pole, or other elevating supports. No sign shall be located in, nor project into, the public right-of-way. No sign shall be placed, painted or drawn upon trees, utility poles, light poles or standards. The Town of Clarence prohibits off-premises and billboard signs. The Town of Clarence will allow off-premises signs without a permit that are associated with community activities or any not-for-profit activity directing the public to such activity, provided that they do not exceed eight square feet in area and are in place for no greater than a sixty-day period. Temporary signs directing traffic to seasonal agricultural products, less than 16 square feet in area per side, will also be allowed without a permit. Such signs shall not be placed within a public right-of-way. Any freestanding sign over 60 square feet will not be permitted at any location within the Town of Clarence except in shopping plazas as approved by the Sign Review Board. On commercial buildings with rear or side orientation to a shopping plaza or mall parking lot or any other public access area, a rear-or side-facing sign shall be allowed with the name of the business and its logo only. Such signs must meet the dimensional requirements of this chapter. The secondary signs must be removable and mounted flat against the rear or side of the building. Painting signs on a building is prohibited. Multiple residences or apartment developments. For multiple residences or apartment developments, one sign advertising the availability of residential units will be permitted, provided that the sign does not exceed four square feet. One freestanding sign that identifies the apartment complex or multiple-family residence will be allowed, provided that the sign does not exceed 20 square feet in area. Public utility signs. Signs necessary for the identification, operation or production of a public utility, not exceeding 32 square feet, may be erected on the premises of such public utility. Residential subdivision project signs. For residential subdivisions or projects, one sign that identifies the project by name and address may be erected near the principal entrance. The one sign shall not exceed 32 square feet. The location of the sign shall be approved as part of the site plan review by the Sign Review Board. Insurance. Security shall be made, in a manner and amount satisfactory to the Town Board, in the event that a sign projects over or above any public walkway, driveway or road, to protect the Town of Clarence from any and all claims for damages or injuries caused to persons or property by such sign. Number of signs. Any business establishment within a commercial zone may have both one wall sign and one freestanding sign. Businesses located in a shopping mall shall utilize a common tenant sign as reviewed and approved by the Sign Review Board. A fee schedule for permanent and temporary signs across all sign districts shall be established by resolution of the Town Board. Sign fees shall be reviewed periodically and may be amended by resolution of the Town Board. Temporary signs not removed at the end of the permit period will cause the applicant to be charged $25 per day as a civil penalty. The failure to remove said signs shall also remain subject to any and all other enforcement provisions of this chapter. Signs erected without a permit will incur a penalty as specified in § 181-8. Every sign not conforming to the regulations of the district in which it is located at the time of adoption of this chapter shall be nonconforming. A nonconforming sign may not be rebuilt except in conformity with the regulations for the district in which it is located. All signs that are nonconforming by reason of size, height, location, illumination or changeable copy must be removed or brought into compliance at such time as the sign is replaced. A nonconforming sign may only be altered by a new face panel, updated illumination or changeable copy in conformity with the zoning district in which the sign is located. Any changes to exterior dimensions would constitute a rebuild and therefore be subject to conformity with current regulations within the zoning district in which the sign is located. Nothing in this chapter shall be deemed to prevent the strengthening or restoring of any nonconforming sign declared unsafe by a duly designated official to a safe condition. Nothing in this chapter shall be deemed to prevent, without proper permit, the reconstruction of a nonconforming structure to its original configuration when destroyed by fire or act of God and with review and approval by the Zoning Board of Appeals. Whenever an area is changed from a zoning district of one classification to a zoning district of a different classification or amendments are adopted that change regulatory measures governing signs, the above regulations shall apply to nonconforming signs created by such transfer. Major Arterial Zoning District. The Major Arterial District is designed to encourage large, dense commercial development in an area of Town that can adequately accommodate a high volume of automobile traffic. This sign area will encourage business promotion/advertising while reducing visual clutter and distraction. One freestanding sign shall be permitted on any parcel. The total area for a freestanding sign shall not exceed 60 square feet per side. 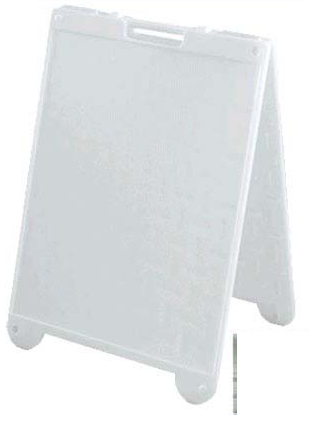 A single freestanding sign may be used to identify more than one on-premises establishment. The total area for the changeable-copy portion of a freestanding sign may not exceed 21 square feet in area per side. A single-owner automobile dealership with multiple national franchises operating on an individual parcel may have additional freestanding signs. One sign per each 300 linear feet of frontage along the principal facade of the automotive dealership may be erected. Contractual requirements of franchise operations will be considered if presented in writing. No freestanding sign shall exceed 20 feet in height. All freestanding signs must have a front setback line of at least 40 feet from any roadway right-of-way. The side yard setback will be a minimum of 10 feet. Signs in a plaza shall be as approved by the Sign Review Board in accordance with § 181-2B of this chapter. Commercial Zoning District. The Commercial and Restricted Business Zoning Districts are designed to encourage high-quality development while maintaining the traditional character of the Clarence commercial corridors away from Transit Road. Freestanding signs shall match the architectural style of the structures they identify to promote a classic, understated business corridor. Any business within said sign district may have a freestanding sign that is architecturally complementary to the building it is representing. Pole signs are prohibited in this sign district. Monument signs shall not exceed 32 square feet in area. All signs must be set back a minimum of 10 feet from any roadway right-of-way and 10 feet from a side yard lot line. Any freestanding sign shall not exceed 12 feet in height. No sign may be located as to create a visual obstruction from a public road entrance or egress or distraction to drivers on an adjoining public road. The total area for the changeable-copy portion of a sign shall not exceed 10 square feet in area per side. Metal-faced box signs with cutout letters and soft-glow fluorescent tubes. Parcels zoned Industrial Business Park will comply with the commercial zoning sign criteria. Restricted Business Zoning District. The Commercial and Restricted Business Zoning Districts are designed to encourage high-quality development while maintaining the traditional character of the Clarence commercial corridors away from Transit Road. Freestanding signs shall match the architectural style of the structures they identify to promote a classic, understated business corridor. Any business within said sign district may have a freestanding sign that is architecturally complementary to the building it is representing. Pole signs are prohibited in this sign district. Freestanding signage located in the Restricted Business Zone shall be limited to a monument sign with the following standards: having a low profile no greater than 8.5 feet, where the base of the sign structure is situated on the ground; or where the sign face is located a maximum of 24 inches above the lowest point of the ground adjacent to the sign, as supported by two posts or columns and supplemented with perennial vegetation. No sign may be located so as to create a visual obstruction from a public road entrance or egress or distraction to drivers on an adjoining public road. Monument signs shall not exceed 32 square feet in area. Traditional Neighborhood Zoning District. This district includes the hamlets of Clarence Hollow, Clarence Center, Swormville, Wolcottsburg and Harris Hill districts for sign law administration. The intent of this sign district is to encourage a small-town, historic-style business district that limits large-scale, out-of-character signage and encourages a walkable, pedestrian-friendly environment. Freestanding signs shall match the architectural style of the structures they identify to promote the traditional character of this district. All signs in this sign district must be made of complementary material and must architecturally form to the building on which they are going to be attached and/or representing. Permanent freestanding signs can be no larger than 20 square feet in area. Any freestanding sign shall be located a minimum of 10 feet from any front or side lot line and shall not be higher than 10 feet from average grade. Awning signs or projecting wall signs under 16 square feet may be allowed after review by the Sign Review Board and provided that all conditions of projecting wall signs as stated in § 181-5F below have been met. LED signs shall be prohibited except for gas price display panels. Residential Single-Family, Agricultural Flood Zone and Agricultural Rural Residential Zoning Districts. The intent of the agricultural/residential sign districts is to maintain the visual quality of the Town's residential areas. One sign, not exceeding four square feet in size, shall be permitted for residences with an approved business or professional activity conducted on the premises. Community institutions, such as places of worship, libraries, museums, social clubs or societies, may erect on such premises one freestanding sign not exceeding 32 square feet in size. Recreational areas, golf clubs, and other similar uses as permitted by the zone the facility is in and the Zoning Ordinance shall be permitted to erect one freestanding sign. No illuminated signs shall be allowed. LED signs shall be prohibited. Temporary signs are allowed within all sign districts, provided that the applicant has obtained a permit from the Planning and Zoning Department. Temporary signs may be a maximum of 32 square feet in area. Signs constructed of a fabric material are allowed if securely fastened to a permanent surface or sign structure. Temporary A-frame signs shall not exceed eight square feet in area per side. Said signs must be used during business hours. One said sign will be allowed per tenant in a plaza containing more than one commercial entity. No sign shall be permitted in any roadway right-of-way. An annual (three-hundred-sixty-five-day) permit will be issued for each sign upon approval by the Sign Review Board. Temporary A-frame signs are not permitted within Residential Single-Family, Agricultural Flood Zone and Agricultural Rural Residential Zoning Districts. Temporary roadside signs must be separated a minimum of 100 feet from each other. All temporary signs may be permitted if the dimensional, location, and construction requirements are met for the district that applies. Temporary signs will be granted a time limit of 30 days. A business may have a temporary sign not exceeding 60 days per year. Temporary LED signs shall only be allowed in the Major Arterial Sign District in accordance with the provisions of this chapter. Temporary flag signs shall be permitted with the following conditions; any flag must be separated a minimum of 100 feet from any other flag on the property. The flagpole and/or flag may not exceed 10 feet in height from ground level. A flag must not exceed 32 square feet in area. Flags must be situated within the parcel on which the business is located. Flags shall not be placed within the public right-of-way nor be closer than 10 feet from any drive approach to maintain visibility for cars entering/exiting a parking lot or driveway. Flags are not permitted in residential zones. An applicant seeking approval for a flag must provide a survey showing the proposed flag location, as well as a diagram depicting the overall size, area and type of flag. Temporary signs may be permitted in conjunction with a special event permit as issued under the Special Events Local Law and may be permitted for a period not to exceed one week. Editor's Note: See Ch. 187, Special Events. Temporary signs announcing the event must be freestanding and located so as not to create a visual obstruction and may not be attached to utility poles, street signs, or existing structures in the right-of-way. Not-for-profit, charitable, civic and similar organizations that do not have a permanent sign may be permitted to place a temporary sign for a special event for a period of 30 days, provided that they meet the restrictions in § 181-4B(2). Any fee for said permit may be waived. For temporary LED signs, a permit is required, and the criteria shall be as described in § 181-2. Commercial event sales. Signs for a commercial event sale must be approved through the Planning and Zoning Department. Decisions against any sign permit may be appealed to the Sign Review Board. Temporary sign fees apply for these events. All signs shall comply with applicable regulations of the New York State Building Code. All electrical signs shall be constructed in accordance with the standards of the National Electrical Code. All freestanding signs shall be designed and constructed to withstand a wind pressure of not less than 20 pounds per square foot of surface area. All signs, including wall-mounted signs, shall be securely anchored and shall not swing or move in any manner. All signs, sign finishes, supports and electrical work shall be kept clean, neatly painted, and free from all hazards, including but not limited to faulty wiring and loose supports, braces, guys and anchors. All signs shall be maintained in a condition that will enhance or maintain the aesthetic quality of the surrounding neighborhood. Directional signs on a premises. Such signs shall be exempt from the permit requirements of this chapter but shall not exceed eight square feet in area. Landscaping of the base of any freestanding sign shall be required, unless there is a demonstrated hardship. Furthermore, landscaping shall be maintained, to include replacement of dead or dying vegetation on an annual basis. Materials and colors. Any materials and colors used in the construction or maintenance of all signs must be of complementary character to the principal building and the subject property. Sign district specifications may be included to govern the construction of signs. All materials and coloring schemes shall maintain or enhance the appearance of the neighborhood. The sign support structure shall be clad in stone or brick or similar materials to the extent practicable, as approved by the Sign Review Board. Painting a sign on a building is prohibited. Obstruction to safety. No sign shall be erected, relocated or maintained so as to prevent or obstruct free ingress to or egress from any walkway, door, window or fire escape. No sign shall be attached to a standpipe or fire escape. Signs not to constitute traffic hazards. No sign shall be erected or maintained in a manner so as to obstruct free and clear vision of roadways or driveways and the safe egress from all roadways or distract the attention of the driver of any vehicle by reason of position, shape or color thereof. No sign shall be erected or maintained that could be confused as a traffic sign, signal, or controlling device. Signs with text that changes more frequently than every 30 seconds and signs that flash, blink or scroll-change shall not be allowed for safety reasons. Mirror or fluorescence. No sign shall, in its construction, employ any mirror or mirror-like surface nor any day-glowing or other fluorescent paint or pigment. Wall signs shall not extend beyond the ends or over the top of the walls to which they are attached and shall not extend above the first-floor level of the building. Wall signs shall not extend more than six inches from the face of the buildings to which they are attached, except for some electrical wall signs which are allowed to exceed 14 inches from the face of the building. Traditional Neighborhood Districts will allow hanging wall signs or awning signs that do not exceed 16 square feet in area and that meet all other requirements of this chapter. One wall sign per establishment shall be permitted, unless that establishment has street frontage on more than one side, in which case one will sign will be permitted for each side of the structure that has street frontage. Additional signs must meet secondary sign requirements as stated in § 181-2F above. The total area for wall signs shall not exceed the lesser of 15% of the total area of the one building facade upon which the sign is placed or 100 square feet in a Commercial or Traditional Neighborhood Zoning District. In a Major Arterial Zoning District, the total area of a wall sign may be up to 500 square feet. Freestanding and pole sign standards. No permanent freestanding sign may be located less than 50 feet from any other freestanding sign. No freestanding sign shall extend into or over the public right-of-way or any property lines. A roof sign must be installed in a plane parallel to the wall of the facade of the building which the roof covers. In no case shall a roof sign extend above the ridge of the roof. The bottom portion of the roof sign, except for certain electrical signs, shall not extend more than six inches from the roof surface. Electric signs may extend up to 14 inches. Two-sided signs. A sign legible from two sides and having faces in parallel planes shall be considered one sign. Each side of such sign shall be permitted the square-foot display area hereinafter set forth. Historical markers, tablets, statues, memorial signs and plaques; names of buildings and dates of erection when cut into any masonry surface, bronze, stainless steel, or similar material; and emblems installed by governmental agencies or religious or nonprofit organizations, not exceeding six square feet. Flags and insignia of any government, except when displayed in connection with commercial promotion. On-premises directional signs for the convenience of the general public, identifying public parking areas, fire zones, entrances, exits and similar signs, internally illuminated or nonilluminated and not exceeding eight square feet per face. Business names and logos may be allowed with Sign Review Board approval. Directional signs shall not extend more than six feet in height above finished grade and shall not be located in the public right-of-way. Nonilluminated "warning," "private drive," "posted" or "no trespassing" signs not exceeding two square feet in area. One on-premises wall sign, in connection with any residential building in any district, for permitted professional offices or home occupations, not exceeding four square feet in area. Such sign may state name and vocation only. Street number and nameplates identifying residents, mounted on a house, apartment or mailbox, and not exceeding 1 1/2 square feet in area. Lawn signs identifying residents, not exceeding 1 1/2 square feet in area. Such signs shall not be illuminated except by a light which is an integral part of a lamppost, if used as a support, with no advertising message thereon. Private-owner merchandise sale signs for garage sales and auctions, not exceeding four square feet, for a period not exceeding 10 days. Such signs shall not be attached to utility poles, trees, or any other man-made or natural off-premises structure. All garage sale signs will meet the applicable temporary sign requirements of this chapter. Temporary, nonilluminated "for sale," "for rent," and real estate signs and signs of a similar nature concerning the premises upon which the sign is located. Each sign shall not exceed 16 square feet in a residential sign district and 32 square feet in a business sign district. All such signs shall be removed one week after the sale, lease, or rental of the premises. One temporary sign for a roadway stand selling agricultural produce grown on the premises in season, provided that the sign does not exceed 32 square feet in area. Seasonal off-premises signs advertising agricultural produce may be allowed if they are under 16 square feet in area and are freestanding. Holiday decorations, including lighting, are exempt from the provisions of this chapter. 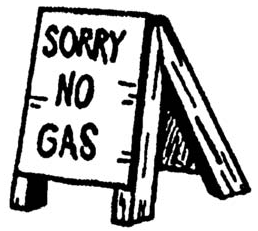 A sign attached to gasoline pumps, not to exceed two square feet in area, on a premises where retail gasoline is sold. Temporary, on-premises directional signs for meetings, conventions, and other assemblies, not exceeding eight square feet. Signs must be removed after the event. One sign, not exceeding 16 square feet in all sign districts, listing the architect, engineer, contractor and/or owner, on premises where construction, renovation, or repair is in progress. Signs must be removed after the event. Political posters and signs, not exceeding 16 square feet in the residential sign district nor 32 square feet in nonresidential sign districts. Such signs shall be allowed 30 days prior to a special election or political event, provided that they meet the restrictions in § 181-4B(2) above. All signs shall be removed within one week after the election or political event. Signs shall not be placed in the public right-of-way. Signs erected by a governmental entity in order to fulfill the duties and administration of said entity. Exempt signs may include, but not be limited to, traffic control devices, including temporary detour signs, the posting of rules and regulations, directional signs for governmental offices, and similar such signs. An applicant shall have the right to petition the Zoning Board of Appeals of the Town of Clarence in the event of a denial of the right to place or erect a sign within the Town of Clarence, whether by permit or otherwise. The Zoning Board of Appeals of the Town of Clarence, after public notice and a hearing, may approve, deny, or vary/modify the application of this chapter in harmony with its general purpose and intent. Penalties for offenses. Failure to comply with any provisions of this chapter shall be deemed a violation, and the violator shall be liable to a fine. For a first offense, a violator will be subject to a fine of not less than $100. A second offense and any others thereafter shall be subject to a fine of not less than $250 or imprisonment for not more than 15 days. Each day such violation occurs or continues shall constitute a separate violation, accruing the given penalty for each day. If a sign authorized under any such permit has not been completed, erected or placed within six months from the date of the issuance thereof, such permit shall become null and void but may be renewed within 30 days of the expiration thereof for good cause shown and upon the payment of an additional fee of $10 as determined by the Town Board. If a sign authorized under any such permit has been completed, erected or placed other than in conformance with all terms and conditions of the application and permit, the Planning and Zoning Department shall give written notice to the owner of the sign, building, or premises to which it is attached, specifying the violation and directing conformance. The sign shall thereupon be modified to conform to the permit or removed within 10 days from the date of such notice. In the event that the sign is not modified or removed in 10 days, the Planning and Zoning Department shall revoke the permit, and such sign shall be removed by the owner or, upon order of the Town Board, by the Planning and Zoning Department, with the owner paying all removal costs. Absentee businesses. Any sign that advertises a business or operation no longer conducted or a product no longer sold on the premises shall be removed by the owner of the premises upon which said sign is located after written notice specifying a sixty-day compliance period. Upon failure to correct, the Planning and Zoning Department shall remove or cause to be removed said sign and shall cause to be assessed against all property all costs and expenses incurred. If the Planning and Zoning Department finds that any sign or other advertising structure regulated herein is unsafe or insecure or is a menace to the public or is in violation of the construction and maintenance provisions of this chapter, it shall give written notice to the permitted agent thereof. Any sign that is unsafe, insecure, or in any way endangers the public shall be reported to the owner of the premises upon which such sign is located. If said sign is not repaired or removed to the reasonable satisfaction of the Planning Department in 10 days, the Planning and Zoning Department shall revoke the permit, if any, and may cause said sign to be removed in the manner provided in § 181-8B above. If the permitted agent fails to remove or alter the structure so as to comply with the standards within 10 days after such notice, such sign shall be removed or altered to comply with this chapter at the expense of the permitted agent or owner of the property upon which it is located. The Planning and Zoning Department shall refuse to issue a permit to any permitted agent who refuses to pay costs so assessed. A portable temporary sign of solid construction, connected at the top and angled down on either side in the shape of an "A," usually with advertisement on two sides; also called a "sandwich board sign." Any sign that uses movement or change of lighting to depict action or create a specific effect or scene. Advertising displayed on an overhanging structure supported with braces that attach to the main building and that projects over a walkway for weather protection. A piece of cloth or other material that is a separate entity from the building, either attached directly to the building or hung on posts, cables, wires or poles, and either blank or bearing a sign outside of the building. National flags, state or municipal flags or the official flag of any institution shall not be considered banners. 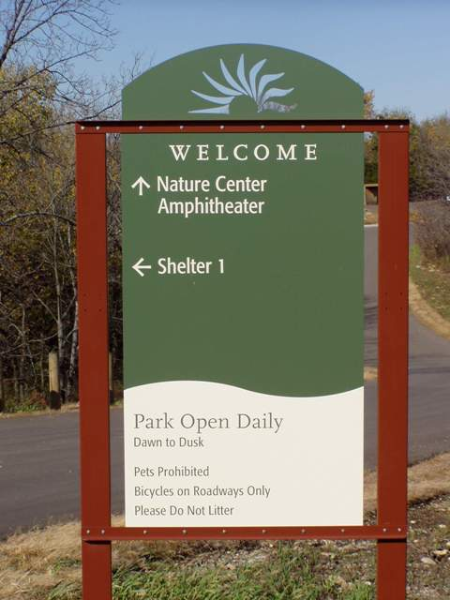 A sign that exceeds 60 square feet in area, usually located alongside a roadway, except for plaza signs as approved by the Planning Board. A sign that contains a message, text or graphics that can be changed intermittently, either manually or electronically, to display a different message. Activities conducted by existing and permitted commercial, retail and similar uses, located within the commercial and major arterial zones, which utilize space outside of an approved commercial/retail building in the required yard space and/or parking facilities of such buildings. Such sales shall include, but are not limited to, sidewalk sales, tent sales, grand openings, going-out-of-business sales, holiday sales and similar activities. Any area that is designated in the Commercial District, the Restricted Business District and the Industrial Business Park District on the Official Zoning Map of the Town of Clarence. A freestanding sign designed to accommodate all roadway signage for plaza tenants and business owners. A sign located on premises and used to direct traffic to a business. Includes build, construct, alter, display, relocate, attach, hang, place, suspend, affix or maintain any sign, and shall also include the painting of exterior wall signs. This includes murals or wall billboards. The surface area on a sign where advertising copy is displayed. A flag is a sign attached to a pole that has characters, letters, illustrations or ornamentations applied to a cloth, paper, fabric or other lightweight material and is suspended so that it is actuated by wind. Animated signs or animated portions of signs with illumination that is characterized by a repetitive cycle in which the period of illumination is either the same as or less than the period of nonillumination. 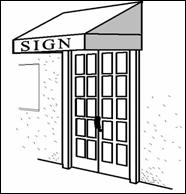 Any sign not attached to or part of any building, but separate and permanently or temporarily affixed by any other means in or upon the ground. Any sign lighted by electricity, gas or other artificial light, including reflective or phosphorescent light. Such light, when permitted, shall conform to all requirements of the National Board of Fire Underwriters. Light-emitting diodes, differing from incandescent bulbs because a variety of colors can be emitted from the same bulb without using filters; has the ability to display scrolling or flashing messages as well as a variety of colors. This definition includes electronic message boards, liquid crystal displays, digitized signs or sign parts, variable electronic message centers and similar electronic displays. Any light, string of lights or group or movement of lights located or arranged so as to cast illumination on and draw attention to a sign or to a person, activity or business. Any area designated in the Major Arterial Zoning District on the Official Zoning Map of the Town of Clarence. Any sign that is erected for the life of business activities at a given location for at least 60 days. Any building which has received a certificate of occupancy from the Building Department for its current use. Two or more retail businesses and/or commercial operations having one or more common walls or utilizing the same parking area or areas, accessways or outdoor lighting systems. Any sign that is not permanently attached to a structure or the ground and can be moved with relative ease. Any sign related to a business or activity conducted or a commodity or service sold or offered for sale upon the premises where the sign is located. The primary sign shall be the most predominantly featured for advertising purposes. Only one primary sign per business shall be allowed to be placed on any permitted building. Any state-, county-, or Town-owned land for the purposes of public transportation. 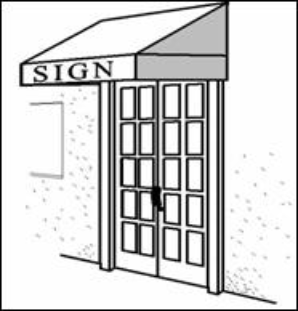 Any sign related to a business or activity conducted or a commodity or service sold or offered for sale upon the premises where the sign is located. The secondary sign shall be subordinate to the primary sign and shall be located at the side or rear of the building on site. Secondary signs shall only be allowed in instances where a second side of a permitted building faces a public parking lot, street, highway, or accessway. Only one secondary sign is allowed per business that has a public parking lot, street, highway or accessway. Any material, structure or device, or part thereof, composed of lettered, painted or pictorial information which, when used and located out-of-doors, displays an announcement, notice, directional matter or a name and which is either permanent, temporary, mobile or portable; includes sign frames, illuminated signs, projecting or ground signs and any illustration or insignia used to advertise or promote the interests of any person, activity or business when the same is placed in view of the public. The agency designated by the Town Board to review and approve sign permit applications. The Sign Review Board shall be three Planning Board members, consisting of the Planning Board Chairperson (or Vice Chairperson in his or her absence) and two other Planning Board members. Any part of a sign that does not specifically advertise but may act as a frame, support, guy, brace, pole, or similar structure. Community-wide events not otherwise associated with a commercial entity. Such activities shall include, but not be limited to, craft fairs, trade shows, circus or carnival events, holiday or seasonal events, parades, demonstrations and other similar community-wide attractions/events. Any sign that is erected for a time period not to exceed 30 days and that announces a special event or sale. The areas designated in the Traditional Neighborhood Zoning District on the Official Zoning Map of the Town of Clarence. A sign fastened to or painted on the wall of a building or structure in such a manner that the wall becomes the support structure for or forms the background surface of the sign, and such sign does not project more than 12 inches from such building or structure. Editor's Note: See the illustration at the end of the definitions. If any section, subsection, phrase, sentence or portion of this chapter is for any reason held invalid or unconstitutional by any court of competent jurisdiction, such portion shall be deemed a separate, distinct and independent provision, and such holding shall have no effect on the validity of the remaining portions hereof.